As customers move online, now is the perfect time for dealerships to transform the car buying journey. When it comes to buying a car, most consumers will start their research online rather than at a dealership. But what about actually buying a car online - are dealers disregarding this piece of the sales cycle? Purchasing a car online is nothing new, with a number of car brokers now offering to source cars from a variety of makers and discount the recommended retail price. We are now also seeing manufacturers bypassing the dealer and setting up dedicated websites to sell their cars direct. So how can automotive dealerships restructure their selling processes to meet the needs of their online customers? Online shopping nowadays permeates all our lives and car buying is no exception. 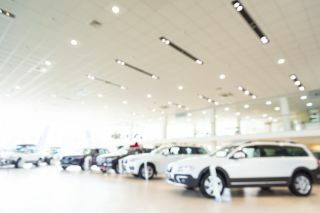 Customers are expecting a car-buying experience akin to other areas of online shopping, which means buying online at a time – and a place - convenient to the customer and without always having to enter a dealership. Live Engagement tools are becoming widely accessible across the automotive industry to offer assistance to online customers. Sytner Group, for example, has been utilising Live Engagement for a while now to meet customers online early in the research phase, showcase vehicles in the lot, route inquiries to their experts and complete the financing process - all without the customer ever needing to step foot in the dealership. Live Engagement on your website will enhance your customers’ experience by providing them with extended hours of customer service, faster resolution time and long-term personal relationships with your experts. Most customers who are purchasing a car will spend a significant amount of time online researching various models, comparing prices and reading reviews. It’s very important to engage with these online customers immediately to ensure that they are getting their questions answered and that they don’t leave your site in search of another dealership. Meeting the customer early on in the research phase will have the most impact because this is the stage when they are most open to assistance and suggestions. Embed BOTs into your website or mobile app to meet and greet the customer at any step of the buying journey and help complete the sales cycle. GreetBOTs are designed to provide intelligent conversation openers that will get your website visitor engaged in a conversation while they are browsing your site. MeetBOTs can provide the customer with more information about a particular feature, inform them about a specific promotion or offer to help with a specific search. CompleteBOTs can assist the customer with completing a form or application and, once fully engaged, the ChatBOT can qualify the customer and transfer them to an available sales agent – a very efficient way to qualify and route your most valuable customers. Consider using mobile cameras to show the buyer any of the cars that you have available. You can even offer the customer the option to see the salesperson and also the physical car they are interested in. While this is useful for new car sales, it can be especially impactful for used cars. The customer can see the condition of the car without needing to go into the dealership. This Live Engagement feature transforms the online car shopping experience by bringing the vehicles to life for the customer, and the customer is able to control which areas of the vehicle they would like to inspect. Make use of co-browsing features to further engage online customers during live engagements. Your agent and the customer can jointly browse different models, compare specs, add options and configure the customer’s desired car. If the customer is ready to buy, your financing department can use this feature to fill applications alongside the customer for leasing, auto-loans or simply to complete the purchase documents. This way, the entire transaction is completed online. This creates a seamless and personal engagement at a convenient time for the customer, with the added advantage that they haven’t left their own sofa. Live Engagement can also significantly help drive your Services & Maintenance business. Consider having a Mobile App with Live Engagement for your regular maintenance customers. Provide maintenance reminders and allow customers to schedule their service appointments on the app with video chat. And if your customer has car issues, they can use 2-way video to discuss the issue with you, show you around their vehicle and receive face to face, real-time support without leaving their driveway. For luxury car sales specifically, you could team up with the manufacturer. Live Engagement platforms that provide this integrated experience allow you to show new releases live from a remote manufacturer showroom. This is an exclusive experience that allows your VIP customers to preview new models and their related features, demonstrating that you value their business and helping you to effectively build brand loyalty. Live Engagement is being utilised in dealerships globally right now. It has proven key to increasing sale conversion and an effective tool for improving customer satisfaction rates and building brand loyalty. With the ability to engage online, you can help the customer make their selection with co-browse, show them the physical car with a mobile camera and finally complete the financing with co-form-fill. Those customers who find it less convenient to visit a dealership now have a viable alternative and can purchase a new vehicle from the comfort of their homes, following a thorough research process online. In addition, Live Engagement allows you to stay connected with your customers beyond the initial sale, for example for maintenance appointments or routine inspections. This allows you to build brand loyalty with VIP customers. The trend is changing and customers are moving online. It is time to transform the car buying journey. Embracing Live Engagement technology now will give you a significant competitive advantage.